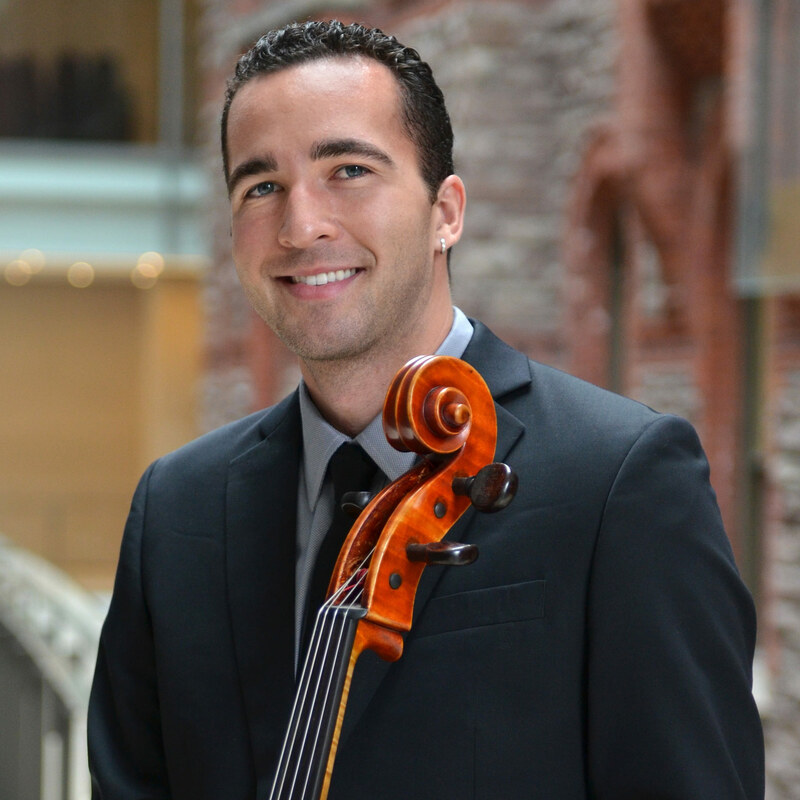 Considered among “Canada’s most promising and brilliant young musicians,” Canadian-American cellist Britton Riley enjoys a diverse musical career as an artist, teacher, and recording engineer. Before his appointment as Assistant Principal Cello of the Calgary Philharmonic Orchestra at the age of twenty-six, he performed regularly with the Toronto and Detroit Symphony Orchestras and was a Rebanks Fellow at the Royal Conservatory of Music. His performances have been recorded for film and radio by Sony Pictures, CBC Radio 2, Classical KUSC, and the DSO’s Live from Orchestra Hall series. At the beginning of the 2015-16 season, he will return to Toronto to join the Toronto Symphony Orchestra. In recent years, Mr. Riley has performed alongside Colin Carr, Levon Chilingarian, Steven Dann, Ernst Kovacic, and Raphael Wallfisch and under such conductors as Peter Oundjian, Leonard Slatkin, Roberto Minczuk, Johannes Debus, Lior Shambadal, Carl St. Clair, and John Williams. Live performances have brought him to major concert halls including Carnegie Hall, Boston Symphony Hall, Chicago’s Orchestra Hall, Walt Disney Concert Hall, Koerner Hall, Barcelona’s Palau de la Musica Catalana, and Temppeliaukio Church in Helsinki, among others. After receiving a Bachelor of Music degree from the University of Southern California, he went on to earn his Master of Music and Doctorate degrees from the University of Michigan. There, he served as Richard Aaron’s teaching assistant and taught private lessons and studio class at the undergraduate and graduate levels, as well as courses in String Instrument Methods and Music Education. His additional primary teachers have included Eleonore Schoenfeld, Raphael Wallfisch, Desmond Hoebig, and Andres Diaz and he has performed in master classes for many of the great living pedagogues including Colin Carr, Steven Doane, Timothy Eddy, Gary Hoffman, Hans Jorgen-Jensen, Paul Katz, and Miklós Perényi. In addition to maintaining a private teaching studio, Mr. Riley has coached young musicians at the Royal Conservatory of Music, Mount Royal University, Calgary Youth Orchestras, and the Alberta Youth Orchestra Symposium at the Banff Centre. Mr. Riley has received recognition throughout North America in the National Foundation for the Advancement in the Arts Awards (now YoungArts), the Boston Symphony Orchestra’s Concerto Competition, the Eckhardt-Gramatte Competition, Sphinx Competition, and Hellam Competitions. He has performed at music festivals throughout North America and Europe, including the Banff Summer Music Festival, the New York String Orchestra Seminar, Le Domaine Forget Chamber Music Festival, Weimar Masterclasses, the St. Lawrence String Quartet Seminar, the Sunflower Music Festival, Bowdoin International Music Festival, and Encore School for Strings. An experienced arts administrator, he has worked at major arts organizations including the New York String Orchestra Seminar, the University Musical Society in Ann Arbor, Michigan, and the Music Institute of Chicago. Additionally, he holds a Music Industry degree from the University of Southern California and has run his own recording business since 2007, working with a variety of artists and ensembles ranging in genre from Classical and Jazz to R&B and Hip-Hop. While living in Los Angeles, he worked in the Rap Promotions department at major record labels including Interscope, Geffen, and A&M Records and as a USC Thornton School of Music approved audio engineer. Mr. Riley has a strong interest in collaborating with artists of various disciplines, especially dancers and photographers. Among his many interests, he enjoys traveling, nature, sports, cooking, hiking, and photography.